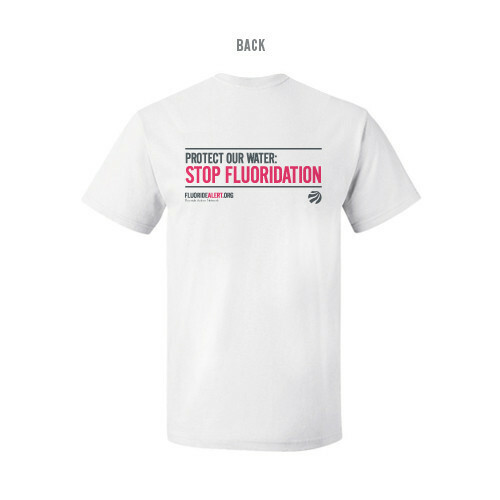 Before we get to our summer T-shirt sale, we would like to share a great new video that features FAN Director and the co-author of “The Case Against Fluoride”, Dr. Paul Connett. Last week, Dr. Connett made a presentation at the Connecticut State House in support of legislation to repeal the current statewide fluoridation mandate. After his presentation to legislators, he spoke at Raw Food Central in Windsor, where he was interviewed by a member of We Are Change Connecticut. Click here to watch and share his 20 minute interview. For a limited time, we will be selling our shirts at a discounted rate of only $18. You can also raise fluoridation awareness by getting a FAN Tote bag and coffee mug, all made in teh USA ($18 each, postage included). 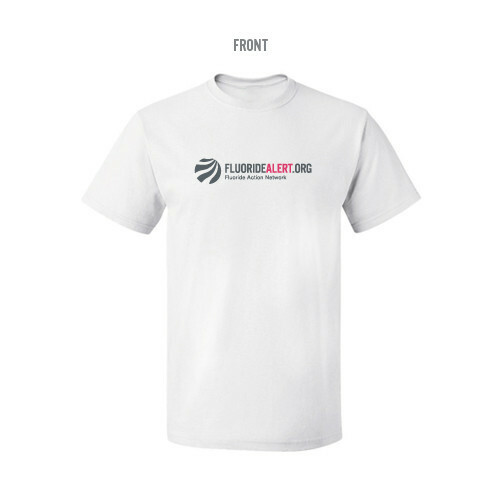 Don’t wait too long, we only have a limited supply of FAN gear, so act now and help support the cause while getting yourself or a friend a nice gift. Each order comes with two free FAN bumper stickers. You can also seperatly order bumper stickers for $1.00 each. By Credit card, at our secure online site. Email Ellen with the details of what you want: T-Shirt (give size), Tote, Mug, or Bumper stickers.